Dr. Haizheng Li received his PhD in economics from the University of Colorado-Boulder. He joined the Georgia Tech faculty in the School of Economics in 1997, was promoted to Associate Professor in 2004 and Professor in 2010. A specialist in applied econometrics, labor economics, industry studies and Chinese economy, he has authored numerous journal articles, book chapters, and technical reports. He has received two research grants from Sloan Foundation Center for Paper Business and Industry Studies, and a number of grants from China. He has served as a consultant for the World Bank, a Special Research Fellow of Shanghai Development and Reform Commission in China, and is a member of Advisory Board of China Economic Review, and President of the Chinese Economists Society (2006-07). 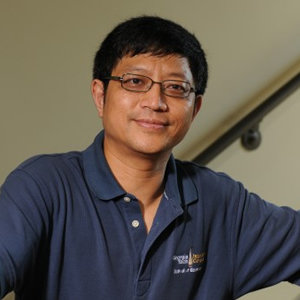 At Georgia Tech, he served as Academic Senate and General Faculty Assembly Representative, Co-director of Georgia Tech-Shanghai Summer Program (2005-07), and Director of Information Technology in the School of Economics. His teaching includes econometrics, economic forecasting, labor economics, and microeconomics.